This adorable pieced and appliqued quilt is perfect for those fish lovers in your house. 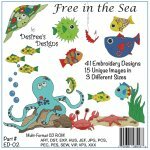 Make it as a baby or youth quilt or add borders to make it even larger for those grown up fish lovers. 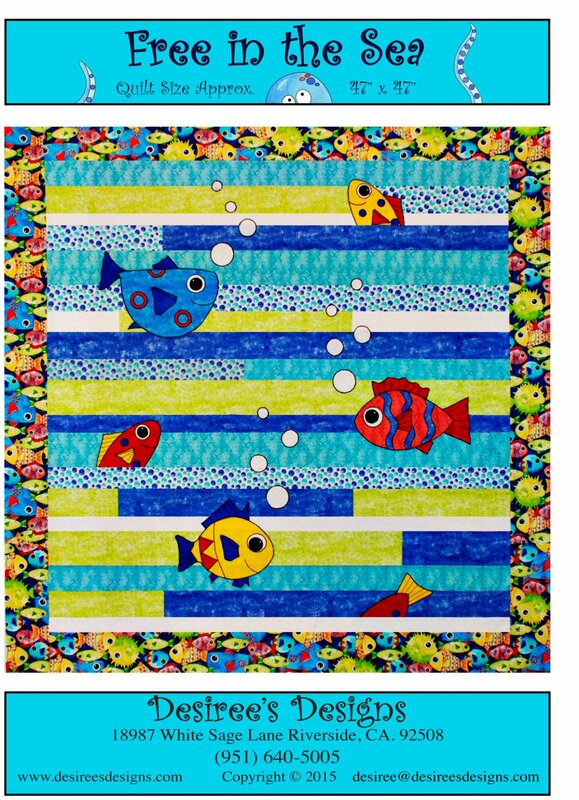 Their cute fish faces will draw you into their swimming antics in this cute quilt. Easy, well written directions make this quilt go together quickly for that last minute gift you might need. Fabric is available for this quilt in the fabric section of this quilt. 47"x47". Matching Embroidery CD is also available so you can embellish towels, bedding, clothing etc for the complete look!